Russian Foreign Minister Sergey Lavrov has said that a 'regime of secrecy' by the West is unacceptable with regard to Syria and the use of chemical weapons there. "If there truly is top secret information available, the veil should be lifted. This is a question of war and peace. To continue this game of secrecy is simply inappropriate." The Foreign Minister spoke during an address to the students of the Moscow State University of International Relations. Samples collected by first responders after the Aug. 21 chemical attack in a Damascus suburb have tested positive for the Sarin nerve agent, US Secretary of State John Kerry told US media as he sought build support for a military strike. No knowledge of who was behind it has yet come to light. 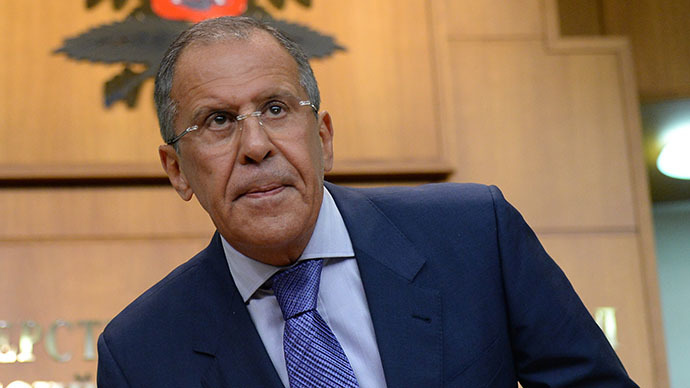 Minister Lavrov has further called the information provided to Russia by the US 'inconclusive'. "We were shown some sketches, but there was nothing concrete, no geographic coordinates or details... and no proof the test was done by professionals... there were no comments anywhere regarding the experts' doubt about the footage circulating all over the internet," Lavrov said.